UPDATE: As of February 14, 2018, this workshop is sold out. 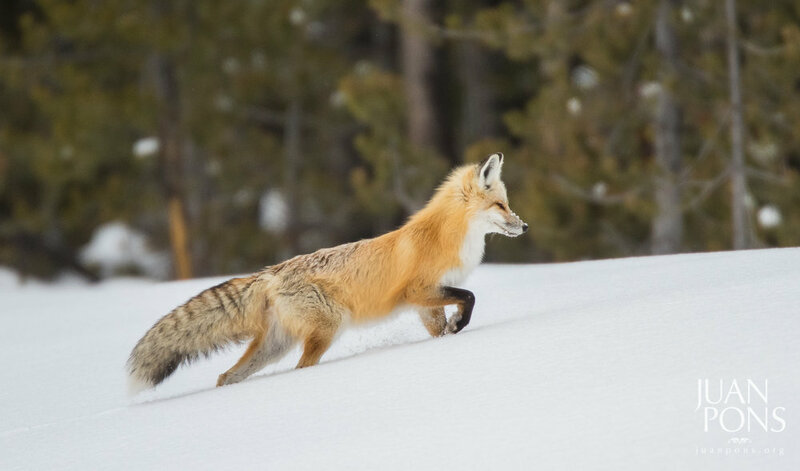 We have openings on our January 2019 Yellowstone workshop, or you can contact us to be placed on the waiting list. February 4, 2019: Cooke City back to Mammoth/Gardiner via Lamar Valley. Evening presentations, program and/or image review. Overnight in Gardiner. February 5, 2019: Very long day out in the field, beginning with a private snow coach to Old Faithful Basin. There will be many wildlife and scenic opportunities along the way. Evening photography opportunity at Old Faithful—thermal features doing light painting and long exposure photography. Overnight in Old Faithful. 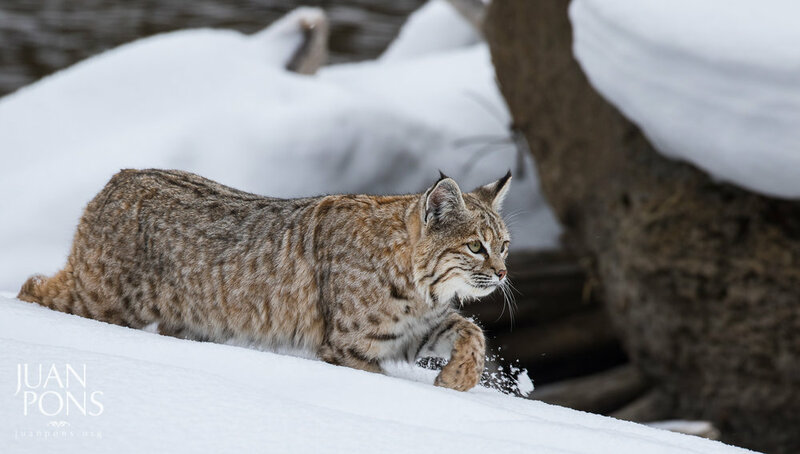 February 6, 2019: Travel via private snow coach along the Madison River, looking for wildlife opportunities as well as scenics. Old Faithful thermal features late afternoon. Overnight in Old Faithful. 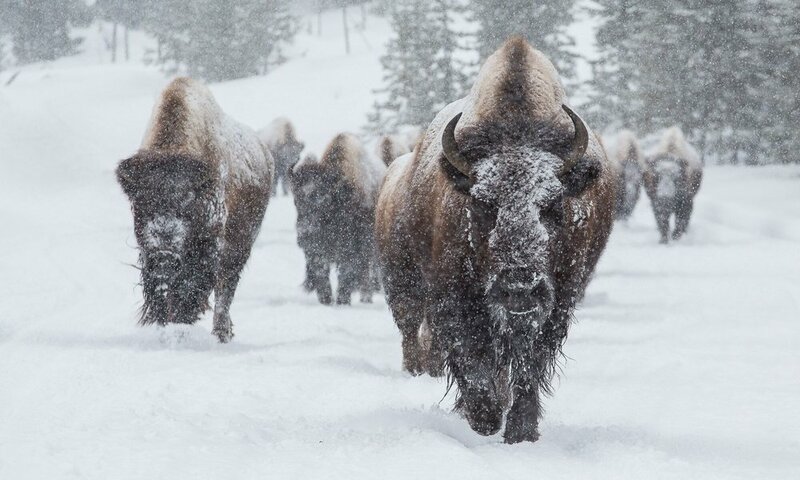 February 7, 2019: Travel via private snow coach back to Mammoth and visit the Grand Canyon of the Yellowstone and look for wildlife and other scenic opportunities. Overnight in Gardiner. February 8, 2019: Travel to Lamar Valley stopping at different photo opportunities along the way, lunch in Cooke City. Travel from Cooke City back to Mammoth/Gardiner via Lamar Valley. Evening trip recap and image presentations. Overnight in Gardiner. February 9, 2019: Travel to Bozeman airport for departures. Flights home can be scheduled for after 11:00 AM. Your deposit of $2,500 is due at sign up and will hold your space in the workshop. The of $4,495 is due by November 1, 2018. If you are registering after that date, please make your payment in full. All of our other standard terms and conditions apply.